Although the attacks back in 2016 left no casualties, the PEGIDA activist was given a considerable prison sentence. 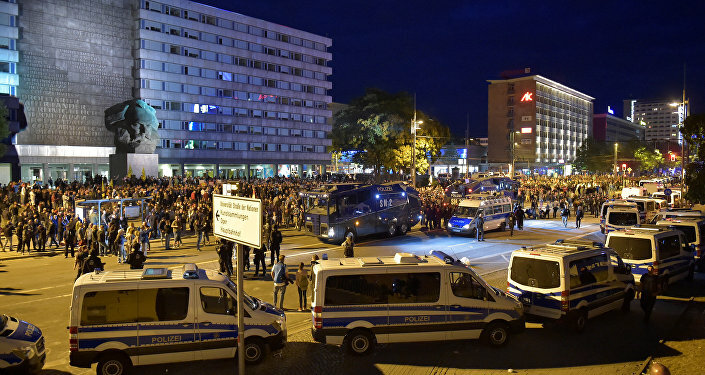 A German has court sentenced a right-wing activist to nine years and eight months in prison for bombing a mosque in Dresden nearly two years ago, according to Deutsche Welle. Nino K., aged 31, was found guilty and charged with attempted murder, coming up with an explosive device and attempted arson, among others, after the former member of the anti-Islamist PEGIDA movement detonated a pipe bomb at the Turkish Fatih Mosque in eastern Germany. No one was hurt in the incident, however, the imam and his family happened to be at their home a stone’s throw from the mosque. Later that evening, Nino K., who was made repentant and confessed to the crimes before Friday’s verdict, detonated another bomb on the roof of the Dresden Congress Center. The worrisome migration issue has pushed forth the German right-wing movement, with the dispute becoming a stumbling block even in the relationship between the two sister parties in the ruling German coalition, the CDU and the CSU, and in the European Union as a whole. However, inside Germany, both parties, after a heated debate, managed to reach a deal and agreed to tighten border controls.